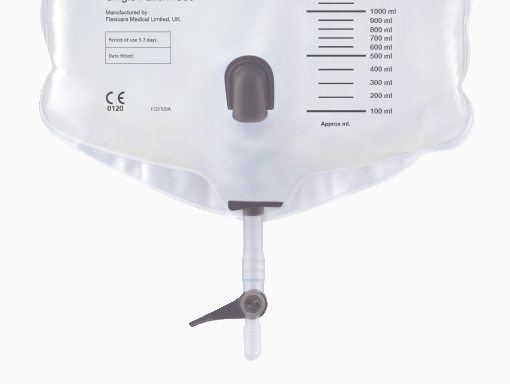 Primarily used with patients who have undergone an operation and are fitted with a urinary catheter. 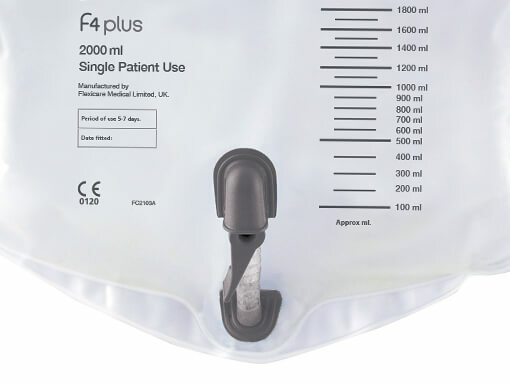 The F4 Plus Bag is designed for patients with a weakened immune system who require a sterile drainage bag with maximum protection against the risk of ascending infection. The wide bore tubing allows for quick and easy urine drainage, while remaining flexible and kink resistant. The integral bag hanger can fit securely to any bed or stand. The inlet tube is also maintained in its primary position to allow for direct flow into the drip chamber. 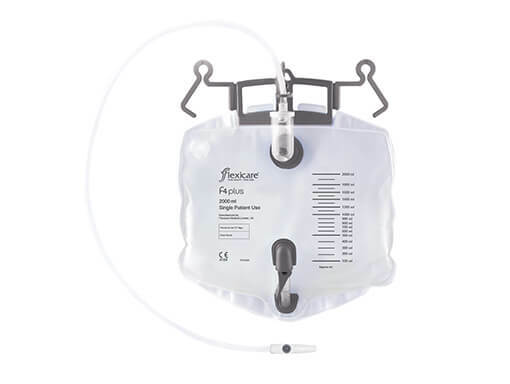 The bag is fitted with a second NRV preventing the contents of the bag returning to the drip chamber, eliminating reflux and providing directional flow of fluids. The hydrophobic filter allows for any pressure build up in the bag to escape without allowing proteins or fluids to pass through. 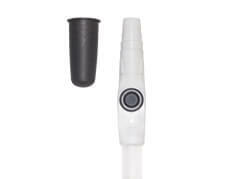 The function of the hydrophobic filter also assists in proper filling of the bag without pressure build up. The lever tap can be placed in a protective tap holder which keeps the outlet clear of possible contamination from the floor whilst also protecting against accidental opening. 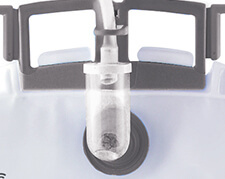 The drip chamber is fitted with a non-return valve and prevents contact between the urine inside the bag and the tube, which eliminates the risk of ascending infection.